The understanding of the following two things is vital in poverty alleviation: 1) There is no one who understands poverty better than the poor 2) National economic growth is not equal to inclusive economic growth. The relevance of these affirmations lies in that oftentimes, ineffective policies have been implemented when battling poverty because policymakers ignore them. Poverty alleviation is a herculean task in that it seeks to eradicate a problem with endless branches. Therefore, solutions must come from a multidisciplinary panel that does involve the experts, but not at the expense of overlooking the poor. Although the efforts made in China towards poverty alleviation have been largely successful, according to the World Bank, the remaining poor are becoming increasingly harder to reach. These people are living in remote, almost inaccessible villages in China’s western and central regions, which makes conventional ways of poverty alleviation highly ineffective. From 2006 to 2010, the World Bank and other investors executed a program in 18 counties of China’s Sichuan and Yunnan provinces, as well as in the autonomous region of Guanxi. This program aimed to implement participatory planning and decision making so the villagers were involved in the solution of the problems of their community. An article on the World Bank’s website describes the activities as “determined by the communities and households from a highly flexible menu of options through a participatory process”. This project also sought the inclusion and active participation of women and ethnic minorities, as the latter make up nearly 40% of China’s poor. In the words of Qiu’e Su, a resident of Pannei Village in the Liongsheng County of Guanxi “We discussed what to do first, we elected our own representatives and then we voted on priorities”. After choosing what to do first, they decided how to do it and designed management and maintenance systems to ensure the durability of their work. The inclusion message of this project boosted the community engagement from 19.6% to 46.2% when it ended in 2010. 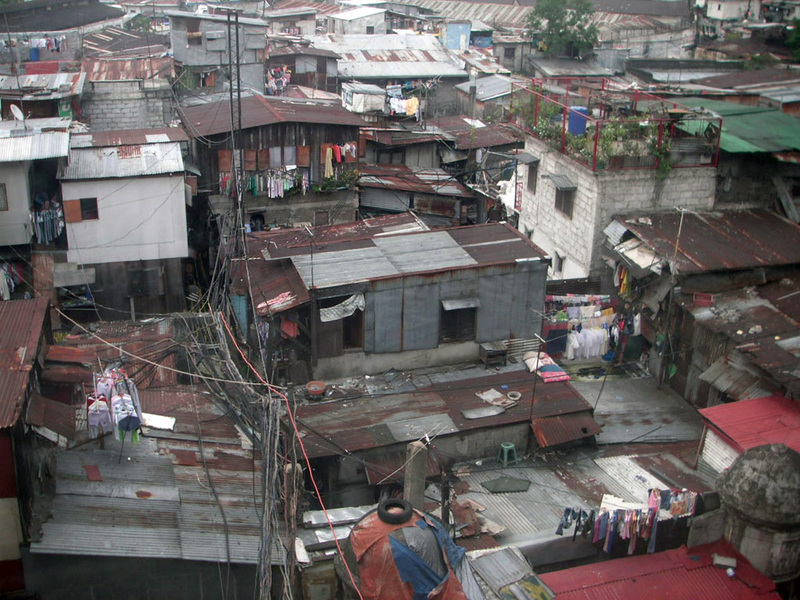 Moreover, poverty levels in the project communities dropped from 15.9% to 9.9% in 2010. This shows that dynamism is crucial in poverty alleviation. Getting a first-hand contact with the poor creates room for a rich debate with undeniable effectivity and sustainable results. In the project communities, the income of farmers increased by 12% from 2006 to 2010 and per capita consumption increased by 40%. Nearly all villages got access to electricity, phone lines and roads. The project also worked on health, including maternal care, and education. People with disabilities, China’s second largest poor group, were also included in the activities and society at large. Identification of the problem: Consists in the analysis of qualitative and quantitative data. It encompasses studying the problem, its causes and the correlation between it and other issues, as well as the consequences it might carry. Formulating objectives: According to the World Bank, they need to be “specific, measurable, realistic and time-bound”. It is indispensable to include both aiding and adverse factors and to go back to step one as many times as needed in order to design solid objectives. Developing strategies: This is where the inclusion takes place. In order to develop the strategies best suited for the needs of a determined city, consultations to the citizens and the city representatives are compulsory. A clear flow of information and organization are paramount to reaching set goals and optimizing the use of resources. Transparency: This means access to information at all levels. The community must have access to information on market opportunities, on the resources available for them and how to use them. Developers must also inform them about local plans and public expenses, as well as alternatives. Accountability: There must be feedback between the inhabitants of a city and its authorities. The latter must be accountable to the general public, which can be done through a number of ways, like anti-corruption policies and events where direct feedback between the two groups is encouraged. Investment in capacity building of community-based organizations and municipalities: This consists in institutionalizing the CBOs and municipalities to give them continuity and a clear line of responsibilities. Community driven development programs and building upon pre-existing skills strengthens these organizations and the community as a whole, thus optimizing the use of resources and providing the citizens with better services. Ensure social and gender inclusion: In order to encourage true, inclusive participation, the city representatives must break with the idea that the poor are just passive consumers rather than active participants of the activities of the community. Poor groups comprised by women, youth, ethnic minorities and the elderly must have a voice and decision making responsibilities for the advancement of the community. According to the Africa Progress Panel, the African continent has one of the fastest growing economies in the world, averaging 5% per year. It seems nonsensical, then, that so many people in Africa live in absolute poverty. Upon closer examination, though, this is not surprising at all. The majority of foreign investment in Africa is done in businesses that do not improve the livelihoods of locals. Activities such as mining and the extraction of oil and gas do not represent many job posts for Africans and the foreign companies in the continent do hardly anything to provide the inhabitants with basic infrastructure, education and health services. The advancement of the continent seems to have plateaued despite its many riches. The report of the APP blames this losing business on unethical investments that only seek benefits for the investors, neglecting the local communities. This is evident in the fact that despite 2 out of every 3 Africans depend on agriculture and fisheries, these areas, as well as forestry, suffer from underinvestment. The potential for ethical investments on these fields is massive and it would contribute greatly to poverty alleviation in the continent, but it is largely unattended. Other faults, like tax evasion, cost Africa about 5.7% of its yearly GDP as of 2014 and not much has changed. It still is a very, very poor continent with endless potential which is not convenient to exploit for the current investors. Other forms of poverty alleviation, such as encouraging productivity in the poor through microcredits and land tenure have been implemented with positive results, however, the participatory approach represents the dynamic and holistic mindset that is compulsory in the global community in order to truly tackle poverty at its most basic levels: lack of resources and a silenced voice.